In July David Parrish who was the Director of Idaho Fish and Game for the Magic Valley region lost his job after he commented on the wildlife impacts of the proposed by wind farm on public and private land near Brown’s Bench. We covered the story, but the Idaho media didn’t seem to find this outright political repression very exciting. Our story on Parrish’s firing. Finally the Idaho Press-Tribune has an editorial. F&G official should be allowed to have his say. Idaho Press Tribune. I think it’s a good editorial. I think the Idaho Mountain Express recently ran an editorial supporting Parrish, too. “Unfortunately for Parrish, he’s got some demerits in his confidential personnel file — enough that this latest mishap triggered the demotion”. Yeah, and what are THOSE “demerits” about, pray tell? Someone needs to dig, and see just how many of those “demerits” stem from Parrish having the audacity to sign his name to OTHER agency comment letters, or from just telling the truth about abysmal sage-grouse numbers. 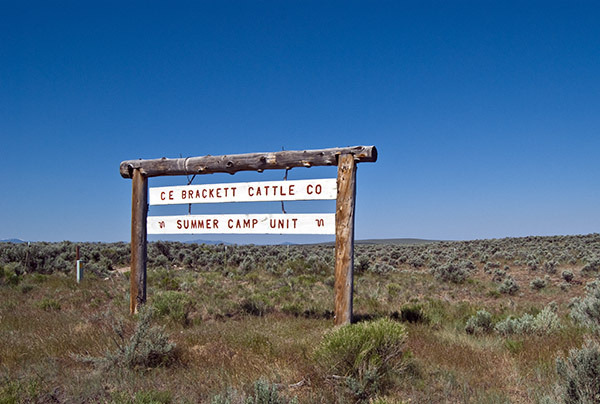 You see, writing ANY comments about Brackett grazing, the Jarbidge RMP planning process, etc. is verboten these days for a state wildlife person. All of this, of course, is fueled by Director Cal Groen pandering to Butch. Nearly all the big public land area Jarbidge ranches are Bracketts or Brackett-by-marriage or Simplot or Gay Otter-Simplot operations.